Hegel highlighted our presence at the Klangschloss in Greiffensee very nicely on page 3 of their newsletter. 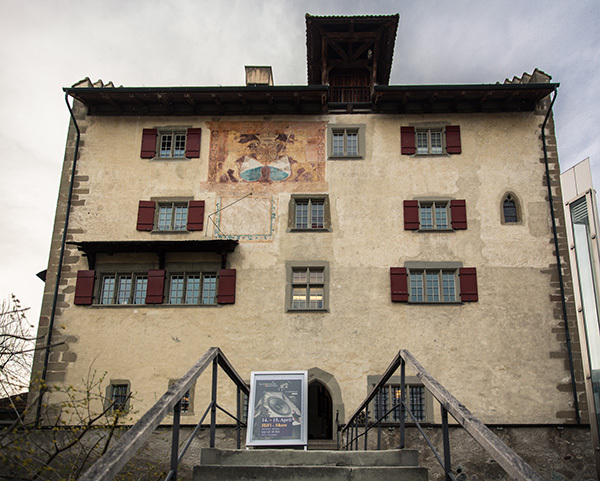 After the very good result of last year, this year as well we will participate to the Klangschloss. 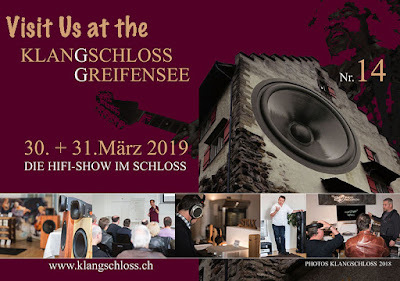 We will present 2 systems with Manger und Blumenhofer Acoustics Loudspeakers. About the electronics in use? We will disclose something very soon. 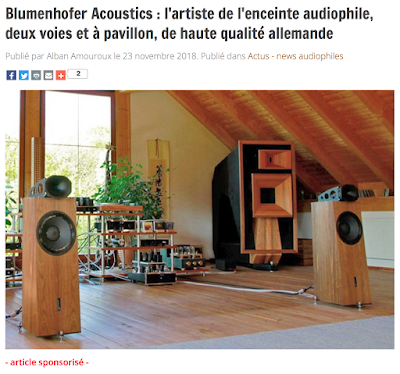 On-Topaudio.fr released a review of Blumenhofer loudspeakers. The article in French is a good description of Blumenhofer's philosophy and way of thinking. 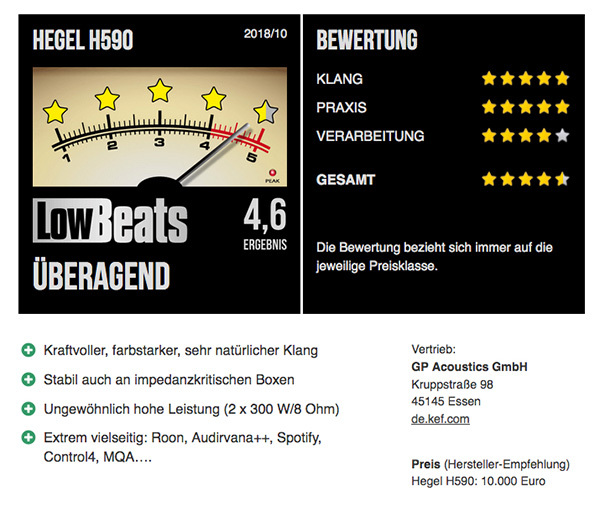 The Hegel H590 has been reviewed on HiFi Plus. Here You can read the whole review. They fascinated me for their minimalist design and the dimensions. Their sound quality is convincing, their precision workmanship is first class. Their price tag is normal and they are some of these gizmos that make live nicer and more enjoyable. 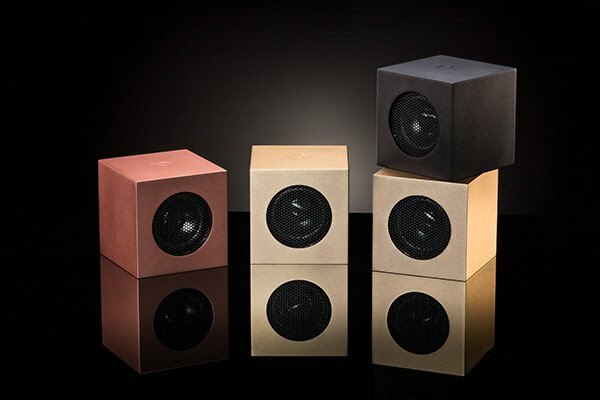 These are among the first loudspeakers in this quality that can be used connected with a Telephone. 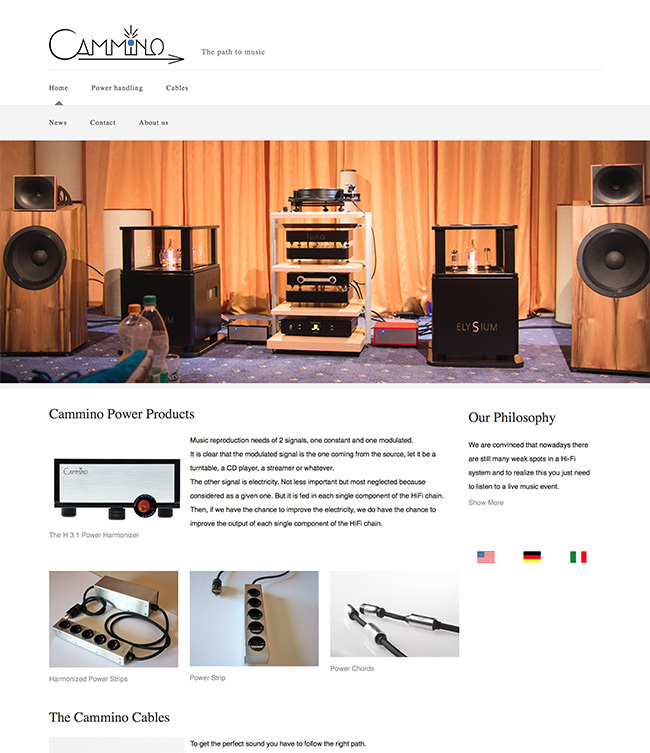 Soundgil is now imported in Switzerland trough us, ask us for a list of dealers carrying our products. 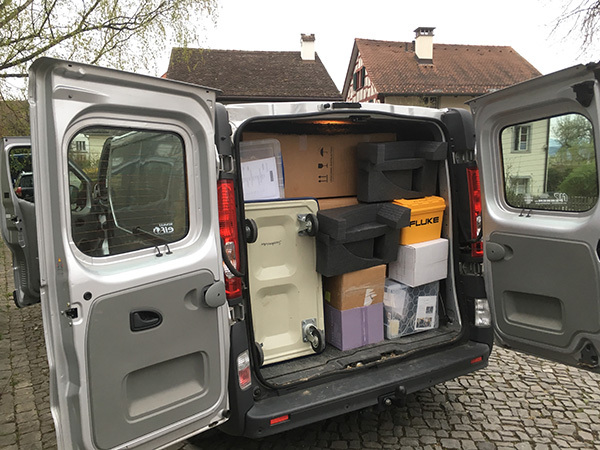 In Nyon we have a new Hegel dealer. NussbaumTV. Looking forward for a fruitful cooperation! 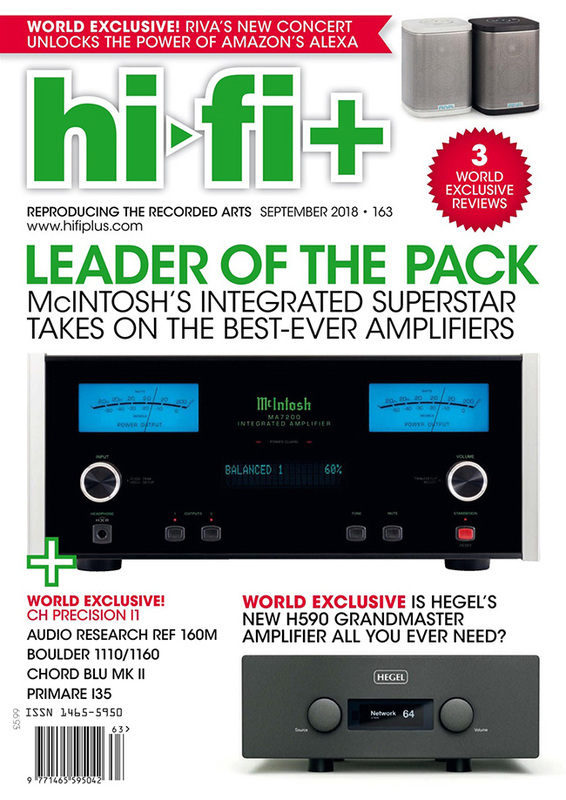 On the pages 17-20 of the issue 163 of HiFi+ there is a very nice review of the Hegel H590 integrated amplifier. Alan Sircom took his time to enjoy our product and describe his experience. Did You notice that our H590 managed to get into the front cover??? This means a lot! If You are curious, You can download the pdf of the article in english here. During the Munich High End, Daniela Manger provided a 'Behind the scenes' interview. Darko Audio published a long article about the Hegel H190 in combination with the Eclipse TD510Z MK2. He says: What started as 'just a quick listen' turned into a pro-shot video which turned into a full piece of editorial content. Here to the Vimeo Video. 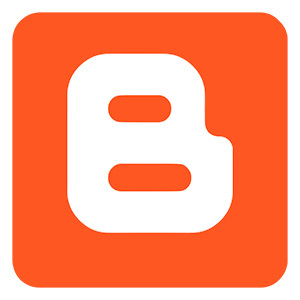 After some times spent with another blogging platform, today we come back to Blogger. We will be much more reachable and easy to find. Thanks to Marc to have made it possible with its Blogspot Stack for Rapidweaver. 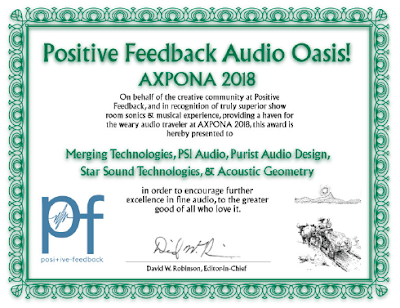 Merging+Nadac had a great listening room at AXPONA 2018 for with partner manufacturers (PSI Audio, Purist Audio Design, Star Sound Technologies & Acoustic Geometry). They received a Positive Feedback Award. “How did things go? Are we happy with the end results? Would we do this again? 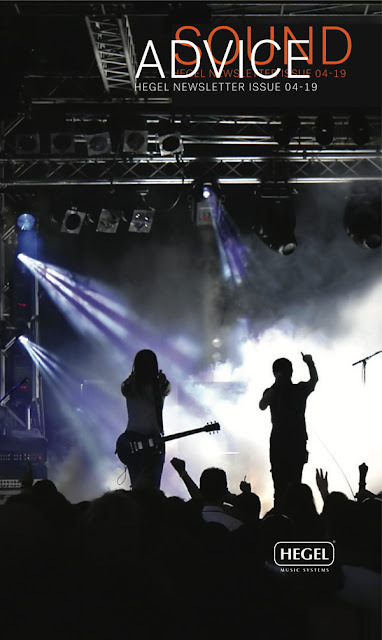 All of this stuff we do in audio can and should be distilled down to one thing, the music! 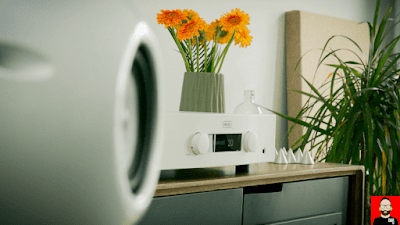 Did we get not just good music at Axpona 2018, but were we able to reach that somewhat intangible border between the elusive magical presentation of lifelike music versus a really expensive stereo system that just plays loud? What a show has been the 2018 edition of the Klangschloss.ch in Greifenberg. Very enjoyable and very smooth in the long run. The listening room was split in half: we shared the room with Illusonic, a Swiss company specialised in digital sound processing. This is not our philosophy, it is a different approach that can suit quite a lot of situations, where it is not possible to work with analogue technologies. Very appreciable. We only had digital music, played with a Roon-based control. It was the first time since longer time that browsing the titles on the iPad gave a certain analogue feeling. Andrea says that he will investigate Roon as soon as he is at home, when an LP-convinced like him says so, it must mean something. At the show there were several rooms playing completely analogue setups, as You can see from the pictures, with reel to reel and really classic 40 years and older turntables. One really amazing part were the presentations that occurred in the show days. Here You can download it and get a short feeling, of what Andrea Vitali from Blumenhofer Acoustics lectured. There were much more people in the lecture, than he expected. The feedback was positive, very informal and informative speech, they said. Andrea accepted the compliment and enjoyed the questions after the lecture.